If your DSC VHF is not registered, or still registered to the prior boat owner, you’re not helping yourself and could likely waste valuable response time in an emergency. Get a free Vessel Safety Check: Where else can you ask a professional to go over your boat to ensure it’s safe and has all the required safety equipment? And if the boat is not up to snuff, you won’t be penalized in any way and will instead get some welcome, friendly advice on how to improve. That’s what a Vessel Safety Check does, so schedule a Vessel Safety Check now. 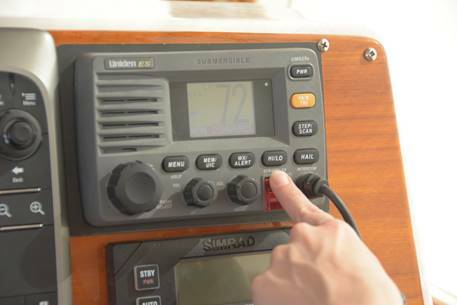 Offered by the U.S. Coast Guard Auxiliary and the U.S. Power Squadrons, Vessel Safety Checks are completely free, and you may be surprised by what they find. Register your DSC-VHF Radio to get your MMSI number: Digital Selective Calling (DSC) VHF radios can greatly reduce rescuer response times – but only if you have taken the time to register the radio and request your vessels’ unique Maritime Mobile Service Identity (MMSI) number. If it’s not registered, or still registered to the prior boat owner, you’re not helping yourself and could likely waste valuable response time in an emergency. BoatUS offers DSC VHF radio registration to the public for $25 or free to BoatUS members. Take a free boating safety course: The numbers don’t lie. The U.S. Coast Guard reports that 81 percent of boating fatalities occurred on boats where the operator did not receive boating safety instruction. Recognize the upshot of these statistics and get instruction now at BoatUS.org/Free. The free online BoatUS Foundation state boating safety course easily fits into busy schedules, allowing course takers to stop at any time and pick up again later where they left off. It could also earn your state’s boating safety certification. BoatUS membership is not required.